This is a design for the back of a shirt for an online Christian university. The QR code is meant to drive viewers to the website, but the school also wanted to use some scripture on the shirt as well. 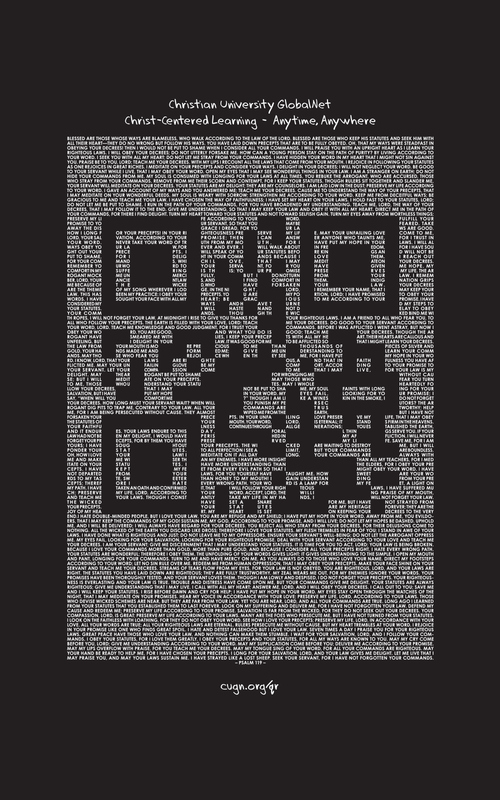 We chose Psalm 119 for many reasons, one of which is that it was long enough to allow us to wrap around the QR code and provide a dense enough base of white color to make the code actually scan well. The text was instituted through InDesign and took some time to track each line so that it was as consistent as possible.